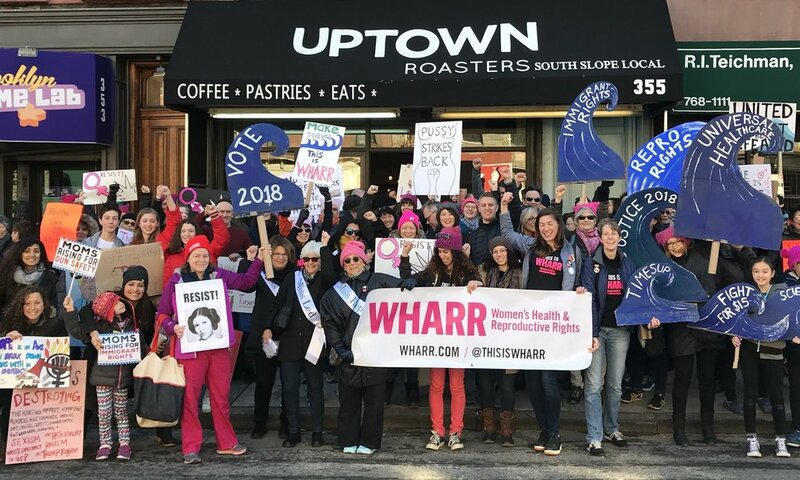 Join WHARR in calling on the City Council to fund abortion in this year’s budget! We believe that controlling one’s own bodily autonomy is a fundamental right. This must include the right to decide all aspects of one’s own reproductive health, including access to safe, legal abortions; the right to safe, economically secure pregnancy and parenthood; and the right to safety, health, and equal protection under the law, irrespective of one’s gender identity or sexual orientation. We promote gender equity, women's health, and reproductive rights. We take action for positive legislative change; work to elect progressive, pro-choice candidates; and fight against regressive policies that harm women’s health and well-being. A grassroots group based in Brooklyn, NY, we hold monthly meetings and other events to share our work with the community. We’re a working group of #GetOrganizedBK, and we welcome new members committed to our cause. Lightning Rod Special Theatre Company from Philadelphia will be presenting their production The Appointment, a musical satire that examines the misogyny, hypocrisy, and absurdity of the contemporary abortion debate in America at New York Theatre Workshop Next Door. Join WHARR for "Community Night" on Monday, April 22nd! See a provocative play, and then participate in immediate actions and have drinks with the cast after the show. For decades, NY State had an outdated abortion law, which was written before Roe v. Wade. But in January, the NY State Legislature passed the Reproductive Health Act and the Comprehensive Contraception Coverage Act! These bills decriminalize abortion, modernize reproductive health law in our state, and require cost-free and expanded birth control options for New Yorkers. Get the facts from a panel of experts at our recent RHA forum. RALLIES, WORKSHOPS, LOBBYING, CANVASSING, & MORE: JOIN US! Want to get involved with WHARR? Join us for an upcoming event! In NYC, there are over a dozen Crisis Pregnancy Centers misleading pregnant people about their health care options. Black women in NY State are nearly 4 times more likely to die during pregnancy and childbirth than white women—and in NYC, 8-12 times more likely. And thousands of women and girls in the United States do not have adequate access to menstrual products. WHARR MERCH NOW FOR SALE! CHECK OUT OUR THREADLESS SHOP! ALL MERCH PROCEEDS GO TO WHARR AND GET ORGANIZED BK.